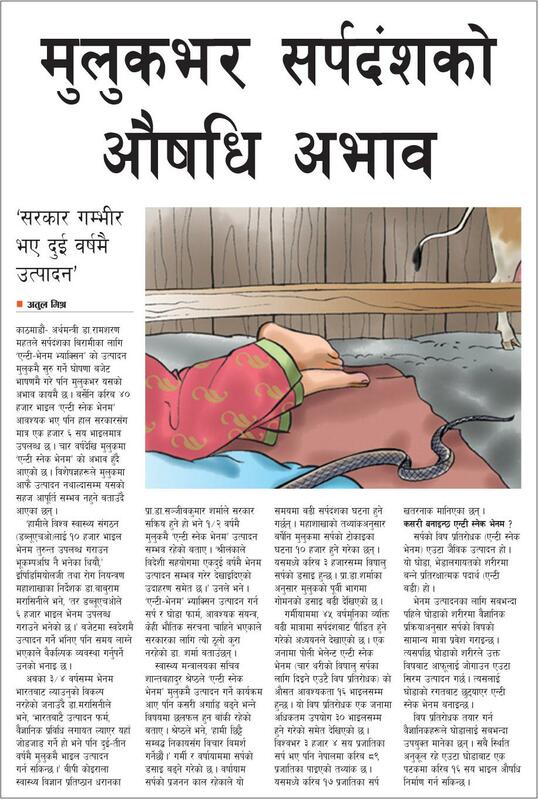 Source of Information Himalayan News Service Kathmandu, July 22 Kanti Children’s Hospital, Maharjgunj, has started child and adolescent mental health OPD, first in the country. Dr Arun Raj Kunwar, child and adolescent psychiatrist at Kanti Children’s Hospital, said the currently the OPD service will be open for public every day except on public holidays from 9am to 2pm. 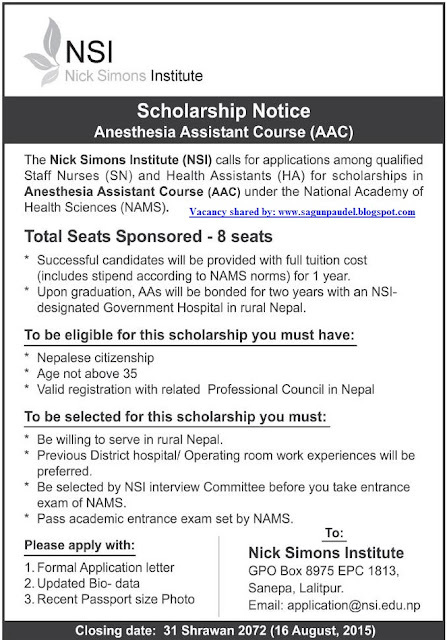 The Nepal Surgeons OverSeas Assessment of Surgical Need (SOSAS) study has made public the first countrywide population-based assessment on fall injury prevalence in Nepal, identifying fall injuries as a major public health concern.Its findings reveal the non-fatal fall injury prevalence of 5.23 per cent and fatal fall injury prevalence of 8.8 per cent. 17 July 2015 -WHO’s Release New Guidelines on HTC services Globally only 51% of people living with HIV know of their status. The new guidelines provide a recommendation to support HIV testing services by trained lay providers and considers the potential of HIV self-testing to increase access to and coverage of HIV testing. 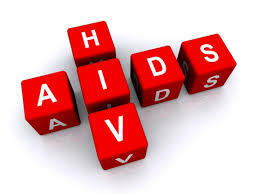 The guidelines also address issues and elements for effective delivery of HIV testing services that are common in a variety of settings, contexts and diverse populations. The Consolidated guidelines on HIV testing services bring together existing guidance relevant to the provision of HIV testing services (HTS) and addresses issues and elements for effective delivery of HTS that are common in a variety of settings, contexts and diverse populations. UNAIDS announces that the goal of 15 million people on life-saving HIV treatment by 2015 has been met nine months ahead of schedule The world has exceeded the AIDS targets of Millennium Development Goal (MDG) 6 and is on track to end the AIDS epidemic by 2030 as part of the Sustainable Development Goals (SDGs). The 2014 version of mental health Atlas continues to provide up-to-date information on the availability of mental health services and resources across the world, including financial allocations, human resources and specialised facilities for mental health. This information was obtained via a questionnaire sent to designated focal points in each WHO Member State. Worldwide, nearly 1 in 10 people have a mental health disorder, but only 1% of the global health workforce is working in mental health. This means, for example, that nearly half of the world’s population lives in a country where there is less than one psychiatrist per 100 000 people. The report states global spending on mental health is still very low. Low and middle-income countries spend less than US$ 2 per capita per year on mental health, whereas high-income countries spend more than US$ 50. 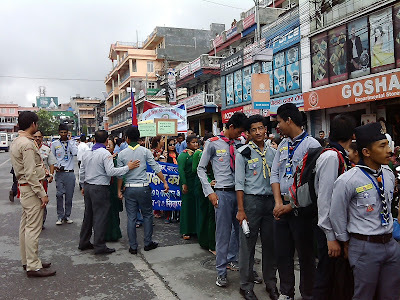 Every Year in July 11th World Population day is celebrated everywhere with different activities. 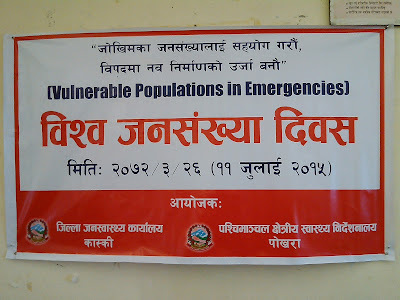 In this year the theme of World Population Day is ''Vulnerable Populations in Emergencies." The recently released Post Disaster Needs Assessment Report strongly confirms that the most vulnerable people in time of emergencies are more likely to endure the consequences of a crisis such as gender-based violence, sexual exploitation, HIV infection, human trafficking, child marriage or even unwanted pregnancies. Globally, an estimated one in five women and adolescent girls are likely to be pregnant in humanitarian situations. (Source) In this ocassion, Regional Health Directorate and District Public Health Office-Kaski also conduct a Program on #WPD, some mobile capture photos are posted here. technical support : Naulo Ghumti Nepal and Child and Women Empowerment Society, Kaski.